Only high quality amino acids from domestic brands are used in this product. 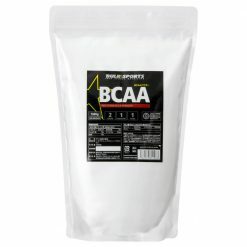 Bulk Sports BCAA features only high quality amino acids from reliable domestic brands. 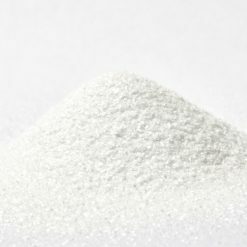 Moreover, the amino acids have been extracted by processing grains such as sugar cane through fermentation. BCAA can be taken pre-workout, during the workout, or post-workout. It is especially useful for high performances athletes. 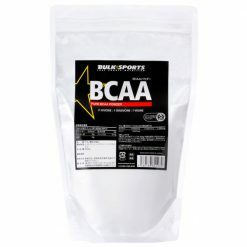 In addition, the BCAA powder is blended in a 2 leucine: 1 isoleucine: 1 valine ratio for best effect. Mix 1-3 scoops into the beverage of your choice prior to a high intensity workout. You can drink juice or carb drinks after taking BCAA by itself. We also recommend that you take Bioperine, as it synergies well with BCAA. For best results, take one additional scoop after your workout.